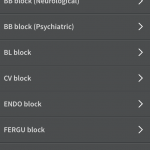 This app gives users access to 100 images focused on a variety of pathology, accompanied by brief explanations, but without appropriate references. 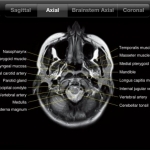 NeuroRad for iPad is a fantastic application for radiologist residents with an excellent neuroradiology atlas. 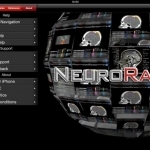 NeuroRad has a range of uses for healthcare professionals ranging from student to resident. 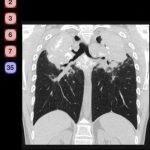 AT&T and Calgary Scientific have recently teamed up to offer ResolutionMD, a FDA approved mobile diagnostic viewer as part of AT&T’s broader medical imaging and information management solution. 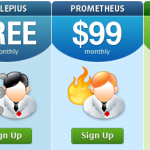 SeeMyRadiology.com is a cloud computing web portal that combines sophisticated encryption algorithms and compression techniques to grant secure access to image sharing, routing, viewing, and archiving of medical images with no IT burden, and no need for expensive CDs or DVDs. 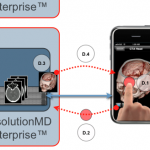 Mobile MIM is the first FDA approved medical radiology viewing app. 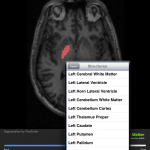 It allows physicians and providers to view CT & MRI scans on the iPad.